Born: July 14, 1839 in Sandwich Ma. 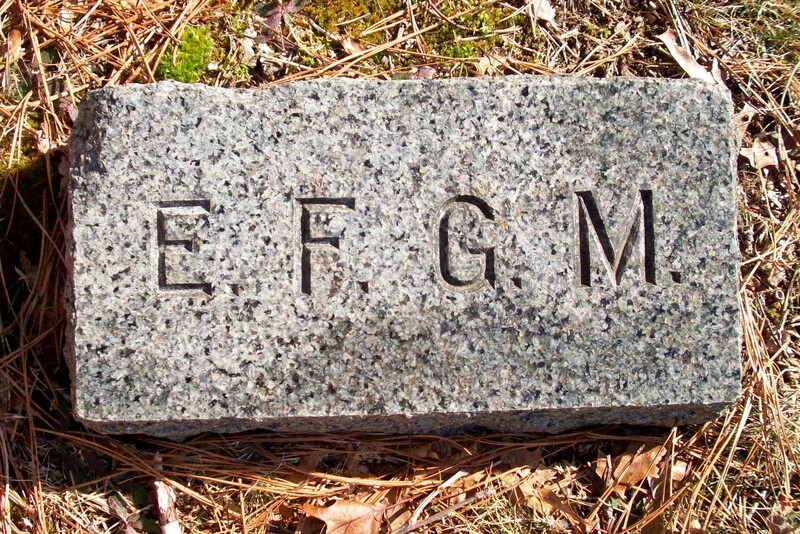 Died: April 12, 1925 in Bourne Ma. at 85 yrs, 9 mos, 2 d.
Married: July 24, 1864 in Sandwich Ma. by N. W. Britton. 1. 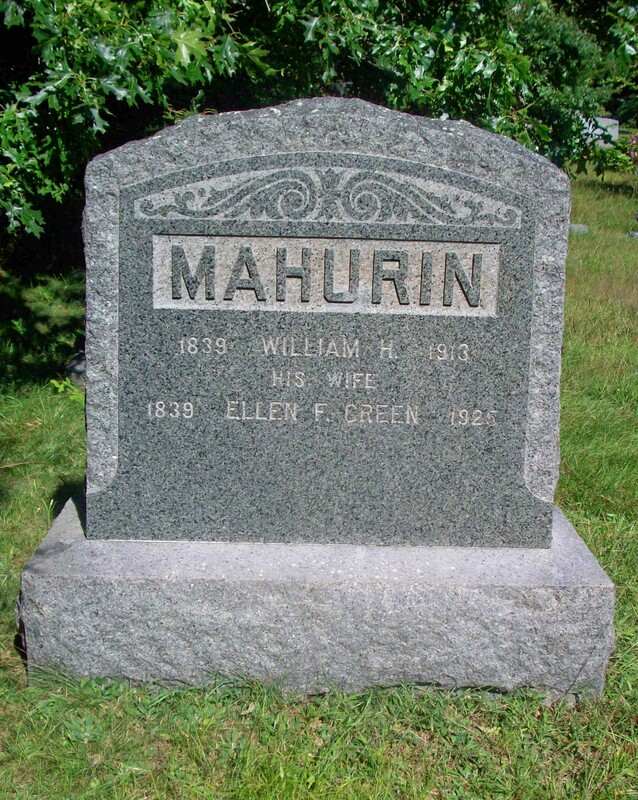 Willie P. Mahurin; (October 20, 1865 – November 30, 1865); Willie died at 1 mo, 10 d..
2. Gerard Preston Mahurin; (February 5, 1870 – December 4, 1942); Married Lillian Snow (1875 – 1971) (Henry S. Snow & Mary C. Hamlin) in Bourne Ma. on October 25, 1899; Gerard & Lillian are buried in Melrose Cemetery in Brockton Ma..
3. Alton Green Mahurin; (March 20, 1871 – March 26, 1954); Married (1) Alice Louise Williams (Abt.1871 – 1939) & married (2) Louise (Newton) Stephen (1893 – 1981) (William J. Newton & Emily/Emma L. Belcher) on July 31, 1940; Louise married (1) William W. Stephen (1893 – Bef.1930) (William Stephen & Eliza Walker) in Boston Ma. on August 8, 1915; Alton & his second wife Louise are buried with his family in Pocasset Cemetery. 4. Annie Maude Mahurin; (September 9, 1872 – June 20, 1953); Annie died at 80 yrs, 9 mos, 11 d. & is buried in Pocasset Cemetery with her grandfather, Benjamin P. Mahurin. 5. Waldo B. Mahurin; (March 17, 1877 – July 16, 1893); Waldo died at 16 yrs, 4 mo. 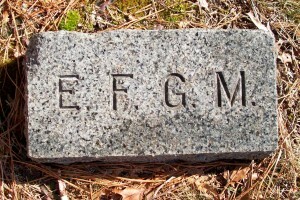 & is buried in Pocasset Cemetery near his parents.